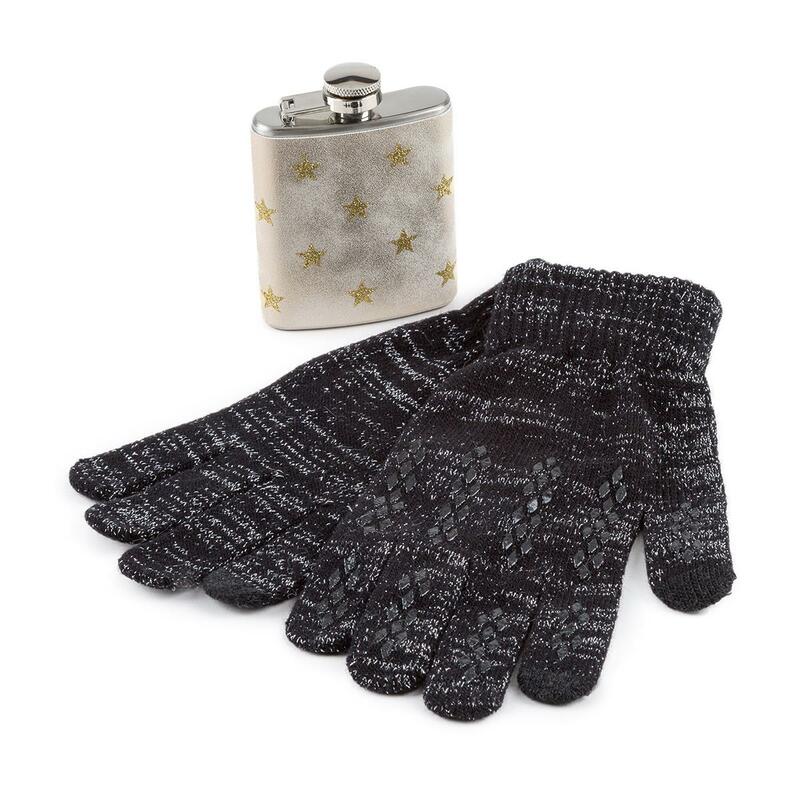 A mini stainless steel gold star print hip flask and our sparkle knit gloves with non-slip grip and smarTouch for use with touchscreen devices. Hip Flask - Wash inside before use with warm soapy water. Not suitable for dishwasher or microwave. Gloves - Machine washable at 30 degrees. Wash dark colours separately and avoid contact with oil or solvents.